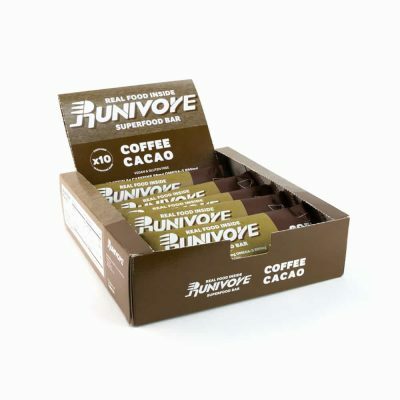 Runivore Chia Cacao Esspress Superfood bar was designed to give your workouts or races a little kick with a caffeine boost of 56 mg. Flavor wise the bar is quite similar to premium dark chocolates with a distinct bittersweet flavor. The bar stays true to our philosophy of mother nature doing the heavy lifting and us carefully combining whole foods ingredients into a tasty superfood bar. The bar remains 100% vegan and we’ve updated our recipe so that it is also now gluten free. The bar stays true to our philosophy of mother nature doing the heavy lifting and us carefully combining whole foods ingredients into a tasty superfood bar. 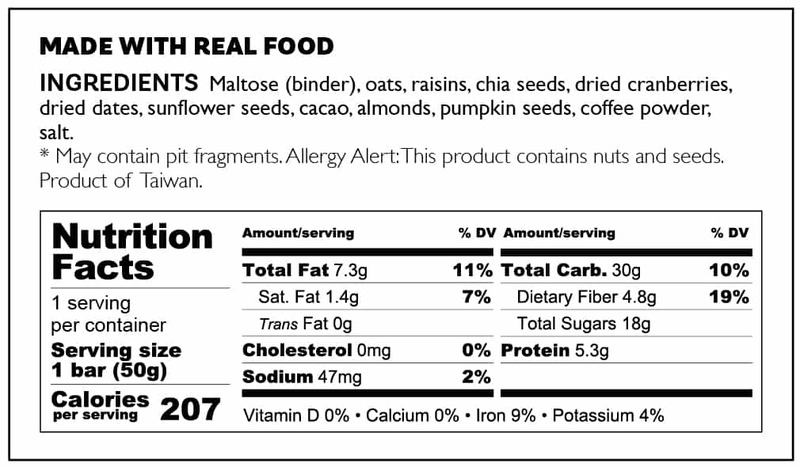 Maltose (binder), oats, raisins, chia seeds, dried cranberries, dried dates, sunflower seeds, cacao, almonds, pumpkin seeds, coffee powder, salt. May contain pit fragments. 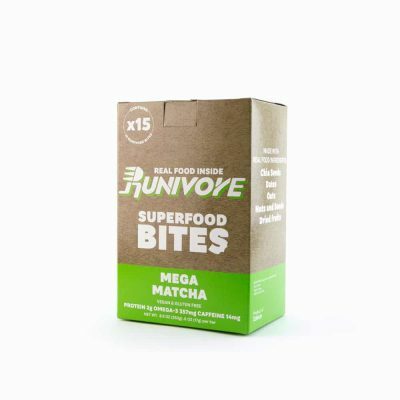 Runivore Mega Matcha Superfood Bites have a delicious, mellow green tea taste combined with the surprise hit of dried mango plus a 14mg boost of caffeine. Like all Runivore Superfood Bites, Mega Matcha is 100% vegan, gluten free, non-GMO and is natural, tasty and powerful – the best of three worlds. 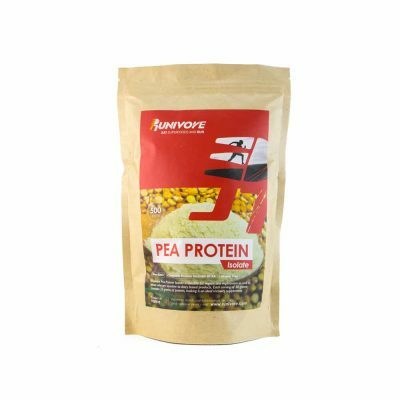 Runivore Pea Protein Isolate is suitable for vegans and vegetarians as well as those that are sensitive to gluten and dairy-based products. 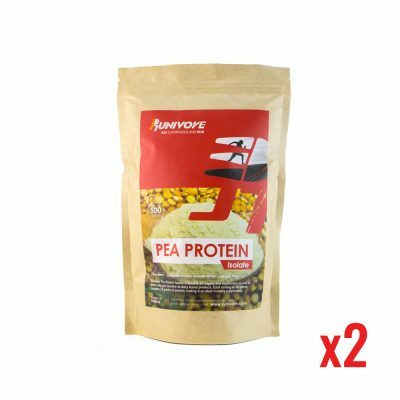 With no artificial additives, each serving of 30g contains 25g of complete protein with BCAA, making it an ideal recovery supplement. 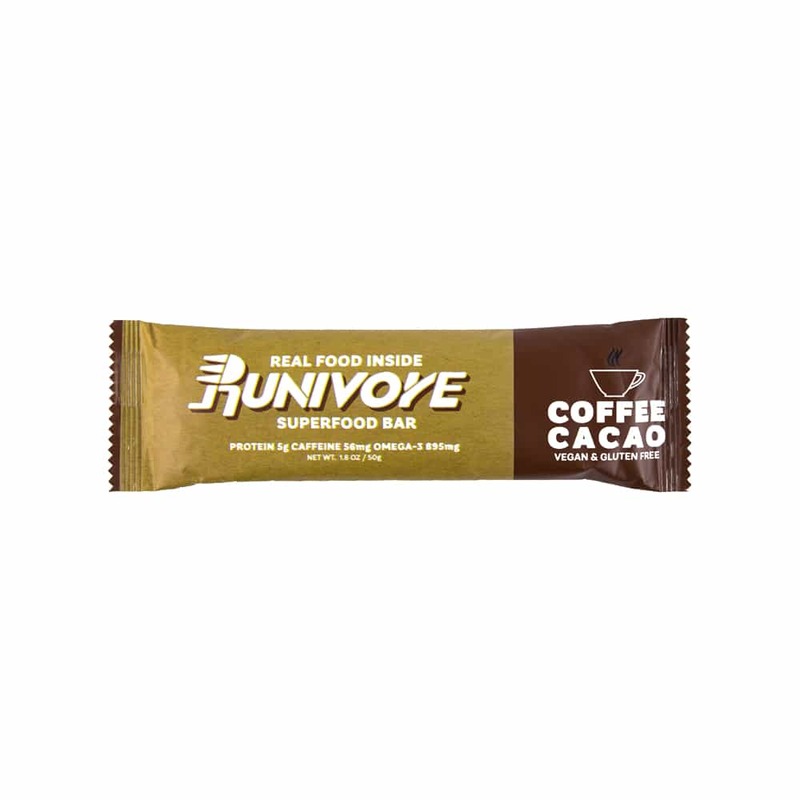 Runivore Coffee Cacao Esspress Superfood bar was designed to give your workouts or races a little kick with a caffeine boost of 56 mg. Flavor wise the bar is quite similar to premium dark chocolates with a distinct bittersweet flavor. 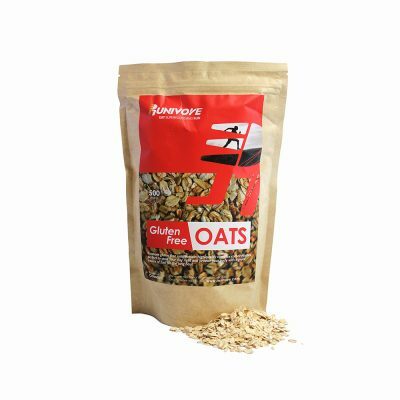 Runivore gluten free oats contain high-quality complex carbohydrates, perfect to start your day right and provide your body with a great source of fuel for the long haul. 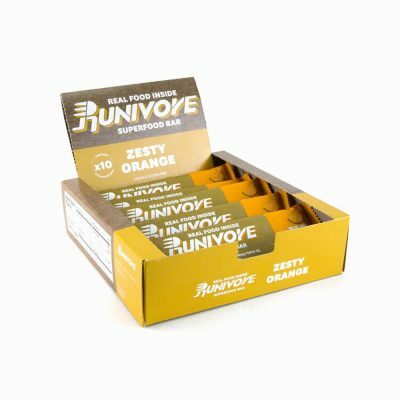 Runivore Zesty Orange Superfood bar is a refreshing energy bar. Designed around an apricot base, the Zesty Orange Superfood Bar is packed with cranberries, cashew nuts, pumpkin, sunflower and chia seeds. Orange zest offers an energizing zing to get you moving and power you through your run, workout, or busy day! 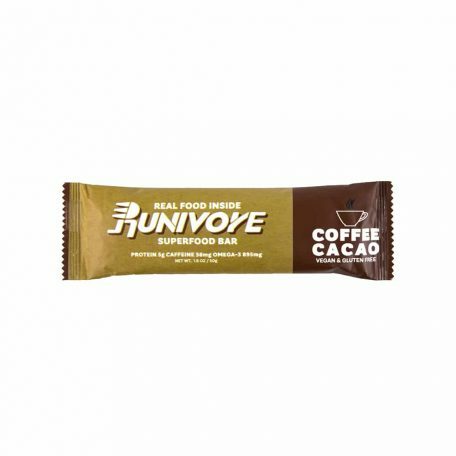 The bar remains 100% vegan, gluten free, non-GMO and is natural, tasty and powerful – the best of three worlds. 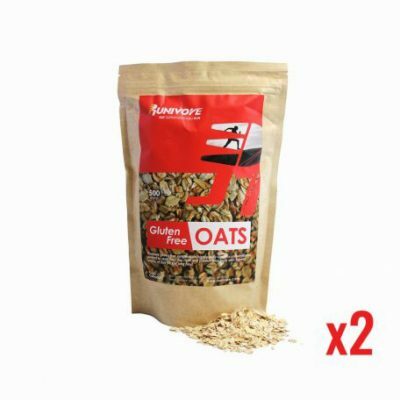 BUY 2 BAGS AND SAVE BIG! 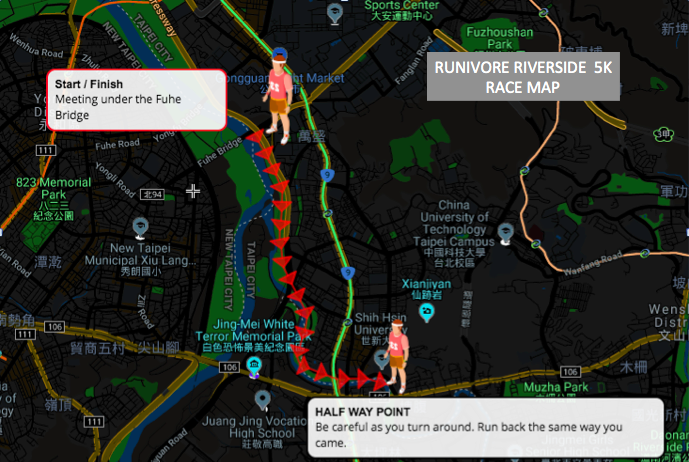 Entry to any of the Taipei Runivore Riverside 5K races for the duration of 1 year from the date of purchase of the pass (we will organize at least 8 events per year). Your personal choice of BIB Number. First come first served basis – let us know your number preference in order notes section at check out. 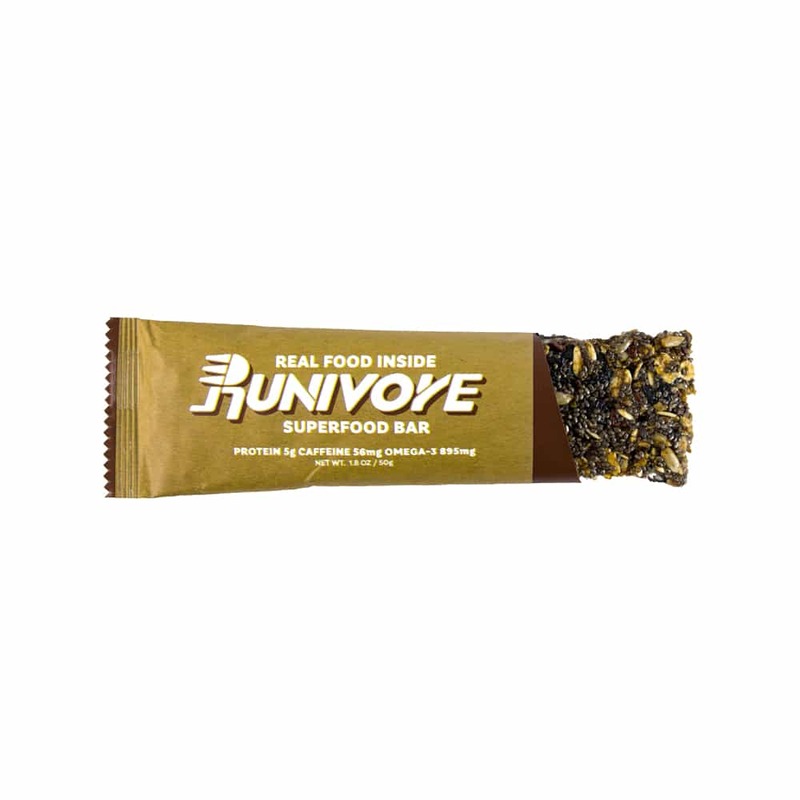 Free Runivore energy bar at every event you complete. 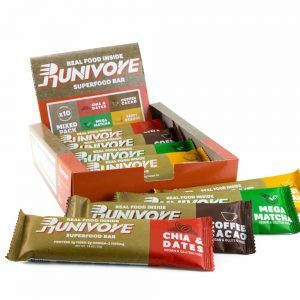 WHAT ARE RUNIVORE RIVERSIDE 5Ks? A 5KM Individual Timed Event To Help You Test and Improve Your Speed. Prizes and Awards For Top 3 Male/Female Finishers as well as top improved runners. Results Published Online. The 5K events take place almost every month, typically on the fourth or fifth Thursday of the month at 8PM in the evening. To see which events have already been scheduled visit: www.runivore.com/shop. The entry fee per individual event is 199NTD, it gets you an entry BIB as well as your choice of one of our energy bars. Check out the flavors here. Typically fourth or fifth Thursday of the month. Runners start at 8PM – will be released in waves of 15~20 runners. Your wave assignment will be given to you on race day. 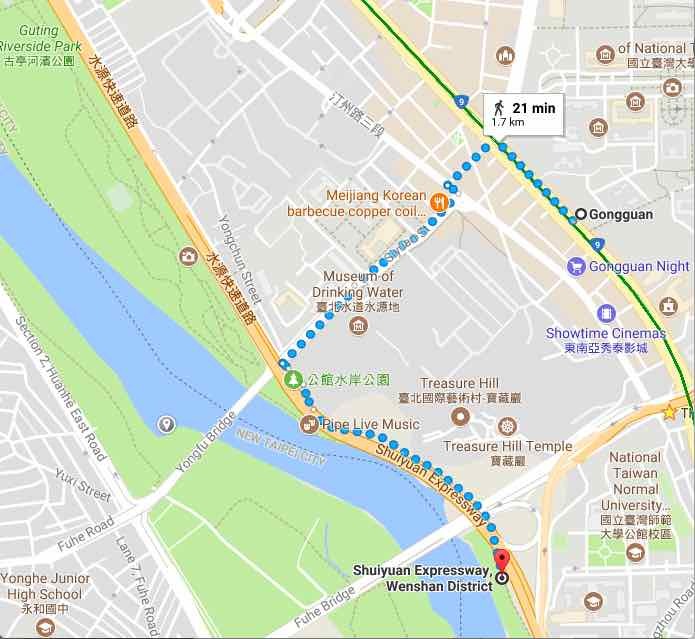 15 min walk from gonguan MRT. Runners are responsible for their own safety and well being. All runners should be in good health. This 5K race event can be quite stressful on the body, especially in hot conditions, and all runners must assess their exertion level as they proceed. Complete the purchase by clicking “ADD TO CART” below and following the check out process. We will contact you with email confirmation once your registration and payment has been processed. 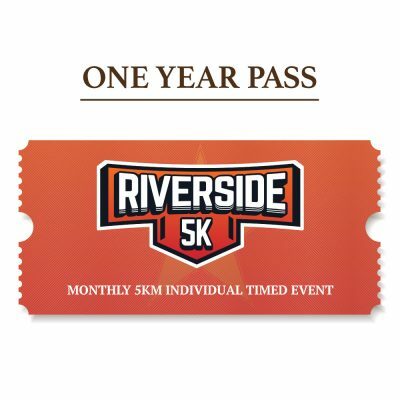 Once your purchase is confirmed, you will automatically be registered to participate in the Runivore Riverside 5K events for the events taking place for one year from the purchase date. Note: Those who complete the registration will not be able to receive refund nor cancellation. Please ensure your willingness to participate before registration. You can pickup your bib and energy bar on race day at the race Start. Please show up by 7:30PM at the latest (we will be there starting at 7PM).